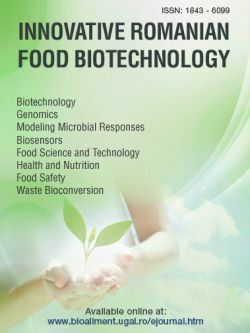 Innovative Romanian Food Biotechnology is an international scientific electronic journal which publishes papers from all areas related to biotechnology, genomics, food research, health and nutrition, biosensors, food safety and waste bioconversion. Mission: to contribute to the progress and application of scientific discoveries, by providing free access to research information online without financial, legal or technical barriers. All international research journal articles are freely distributed and available from multiple websites. © 2006 - 2009 all rights reserved.